First bug stack with the Mitutoyo 20x/0.42. 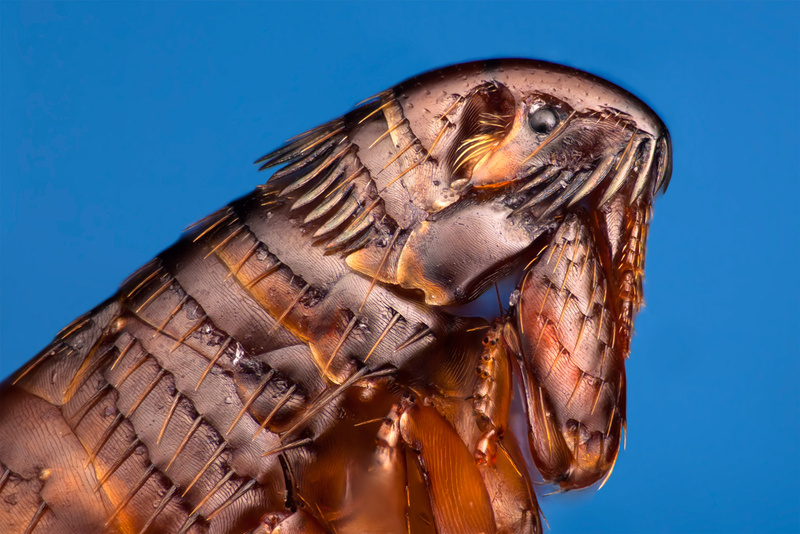 Female cat flea (Ctenocephalides felis). That's stunningly sharp and beautifully lit. You will make good use of that objective! What was your tube lens? Superb! Looks like an incredibly detailed bronze statue. Thanks Lou, Rik and Sumguy01 for your comments! What was your tube lens? Raynox DCR-150 (reversed) on bellows. Thanks for the information Santiago. Since I have retired and I've rekindled a love for photography. I don't take myself serious but I do take creating interesting and well executed images seriously. I will take that as a compliment Thanks photosbytw!